Refugee Week is a UK-wide programme of arts, cultural and educational events and activities that celebrates the contribution of refugees to the UK and promotes better understanding of why people seek sanctuary. Refugee Week 2014 took place between 16-22 June and I decided to try a new recipe to join in the festivities! 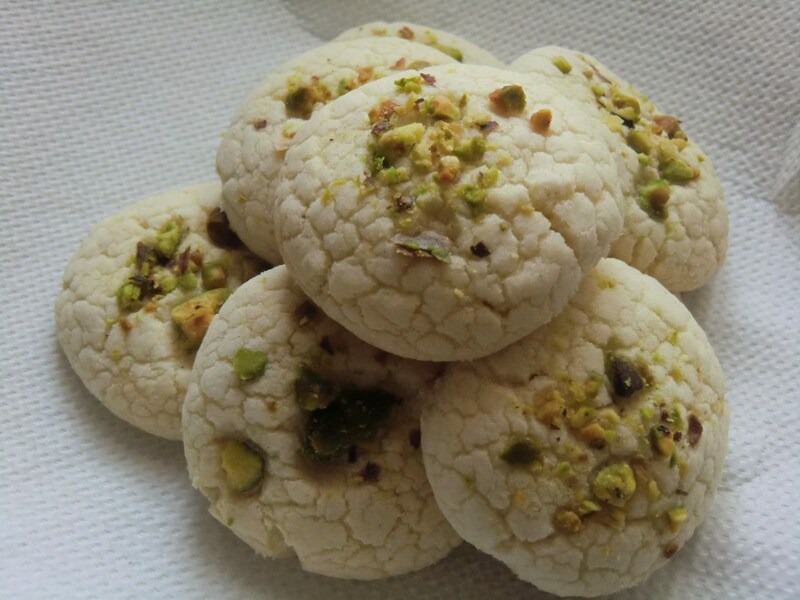 Persian Rose Water Rice Cookies (Naan e Berenji) are made to celebrate Persian New Year, are wheat free and have a light crumbly short texture. I’ve come across different recipes that use both cardamom and rose water for flavouring or just rosewater. I used an amalgamation of various recipes. 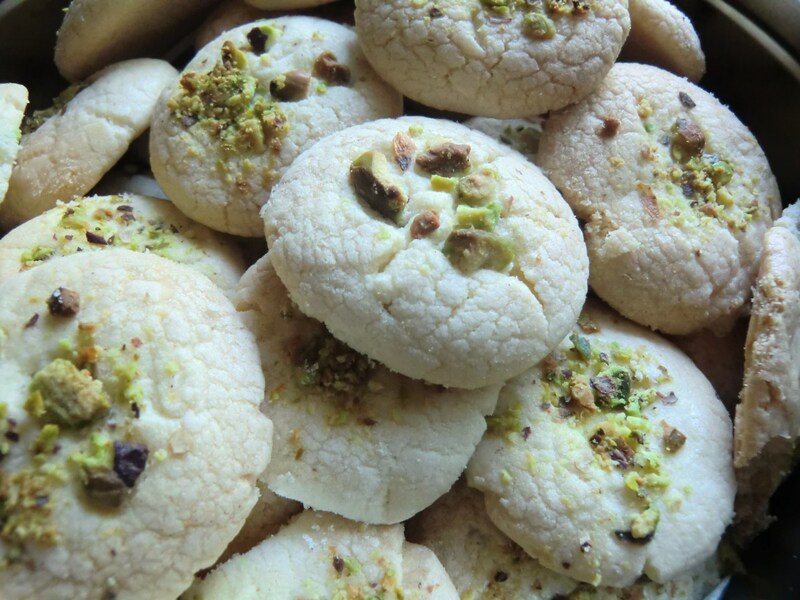 These cookies are very crumbly and do not spread much when baking, so they can be placed close together on the baking tray but should be handled only after they have cooled completely. They are very moreish with a very subtle flavour. Adding cardamom would definitely enhance this little biscuit too. The top of the cookies have a cracked look, which I’ve been assured is quite usual! Due to the high fat content, they keep well in an airtight container for up to a week. I’m currently trying to lose a little of my ‘cake weight’ by trying out the 5:2 diet. I’m sure you have already heard about this latest fad diet, but it basically relies on eating 2 non-consecutive days of no more than 500 calories (for women) and then eating up to your ‘Total Daily Energy Expenditure’ (a metric to calculate the amount of calories your body needs to function in a day). Sounds complicated but I use a calorie counting app to help me, so it’s simple! As I dread the thought of being hungry, I’ve done lots of research into what foods to eat on ‘fast’ days. I’ve also read a lot of evidence that shows that fasting has huge benefits for health generally! Reduce heat and add the noodles and tofu to warm through. Don’t over stir it as the tofu will fall apart! 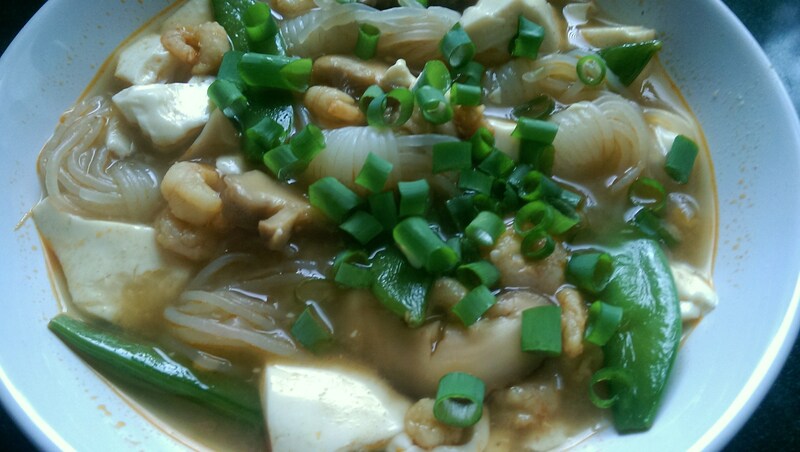 Sprinkle with chopped green onions then serve!